We are working on constructing a modern deck. The image below shows our alternative to lattice work. This is in the form of a fence that extends beyond the deck in order to hide the generator, oil tank and air conditioning unit. 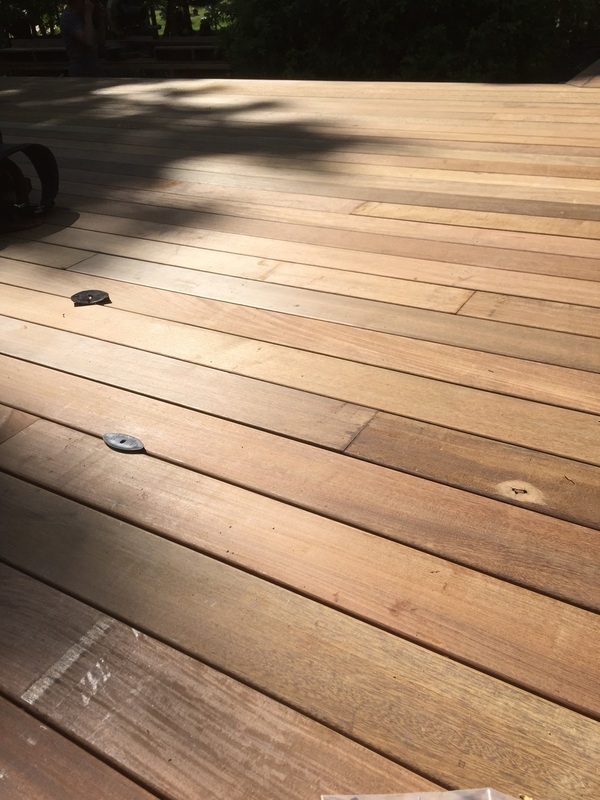 The deck itself is 5/4 ipe with grooves for hidden fasteners. This means that once it is in place it looks nicely spaced with no visible fastening. The combination of these two elements makes a great comfortable deck with a modern aesthetic.